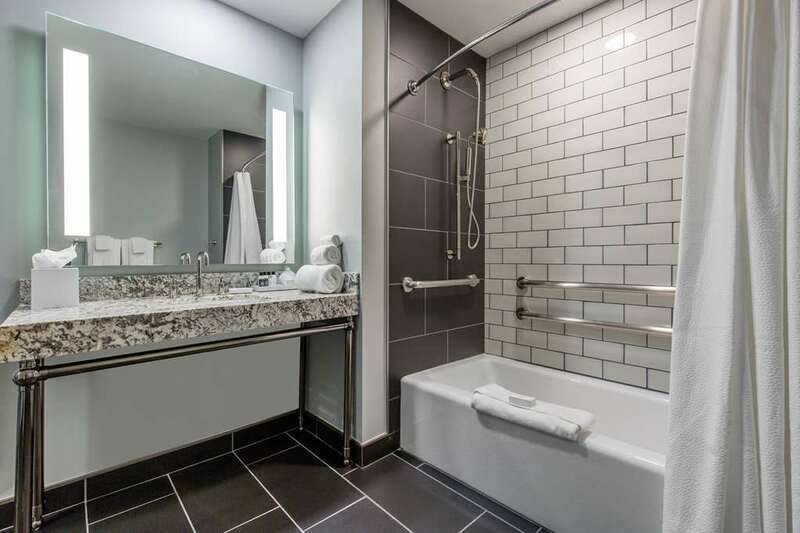 Experience a modern twist on historic Art Deco architecture at our stylish downtown Houston hotel. Located in one of the most iconic skyscrapers in the city, our hotel offers upgraded amenities alongside classic Texas charm. Amenities include free WiFi, a hotel bar and lounge, meeting space featuring catering, an exercise room and a business center. Stylish guest rooms offer microwaves and refrigerators, premium bedding, walk-in showers and 55-inch flat-screen TVs. Catch a baseball game at Minute Maid Park, take in a show in the Theater District of downtown Houston or pay a visit to one of the several museums in the area, including the Houston Fire Museum and the Buffalo Soldiers National Museum. No Pets Allowed.